I’m overrun with summer squash. It’s up to me to eat it because Husband doesn’t like it. He doesn’t like zucchini either. However, Husband will eat zucchini bread because he says it doesn’t taste like zucchini. I threw a brunch and wanted to show off my mad baking skills. 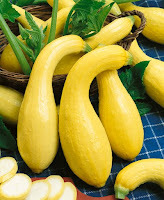 I planned on making zucchini bread but instead of getting zucchini in that week’s CSA delivery we got more summer squash. Ugh! I threw caution to the wind and made my orange zucchini bread recipe with summer squash instead. My guests loved it. Husband loved it because it does not taste like summer squash. Even my two nephews who swear up and down that eating vegetables will kill them ate it and loved it. Of course, I failed to mention to the boys that they were eating and enjoying vegetables. That’s our little secret. 2. Butter and flour two loaf pans and set aside. 3. Beat the eggs until thick in a bow. 4. 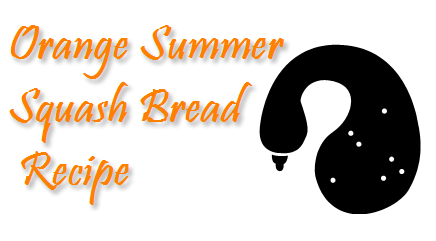 Then gradually mix in the sugar, oil, summer squash, orange juice, and the rest of the bread ingredients. 5. Pour the batter mixture into the two baking pans. 6. Bake the bread at 350 degrees for 45 to 55 minutes or until a knife inserted in the center of the bread comes out clean. 7. Allow the bread to cool slightly and remove the bread from the baking pans. 8. Make the glaze ingredients in a separate bowl and pour the glaze evenly over the warm loaves of bread. 9. When the bread is cool, grab a knife, cut off a slice, and dig in! Another great way to use squash is to make relish or chutney. I'm sick of the old bread thing. Squash is sort of like tofu, bland and flexible, so to cook/preserve with.